I am writing in response to the negative comments regarding El Questro. The impression given is that the Homestead is the only style of accommodation available & this is not the case. You definitely DO NOT have to be a millionaire to appreciate El Questro & I know this from experience. My husband, 2 young children & I spent 4 nights there in June & we enjoyed every minute from beginning to end. The staff are extremely friendly (they DO care if you choose to stop by!) & we didn't feel it was overpriced (we are an average income family). We stayed in the Bungalows, there are also tents available & plenty of camping space for people with their own tents & caravans. Our 2 boys had a great time playing for hours in the rapids at the township (& that didn't cost a cent!). To this day they still talk about it & ask when we are going back there. The 3 most memorable things for us were the Chamberlain Gorge Cruise, Zebedee Springs & the Saturday night BBQ at the Township which was a fantastic night thanks to the great food & entertainment. Overall a totally memorable, affordable & fabulous destination!! Thanks a bunch for your review, Sarah. It's great to get a different view point! And you confirm what I mention in the guide book: the key to an enjoyable stay at El Questro is to take enough time. We recently came back from 2 weeks in the Kimberleys, and El Questro was a real highlight. We did both extremes - we stayed in our campervan at the riverside camping ground at El Questro, and then had 4 luxurious nights at the homestead. At $25 a night there was no complaints for our camping site! Equally the homestead whilst expensive was worth it. All aspects of our time there totally exceeded our expectations. The staff were amazing and the landscape inspiring, with Emma Gorge and El Questro Gorge being particularly spectacular. We will go back! We went to Zebedee springs, hired a 'tinny' and went up the Chamberlain Gorge, and stopped in at Emma Gorge on our way back home...Fantastic day!!! We have recommended it to our families after returning from a memorable experience. Totally agree with Sarah. My wife and 2 boys found El Questro to be absolutely awesome. We camped in the township camp ground and found staff and facilities to be excellent. We too were also advised to give El Questro a miss but one friend told us it was the best place she had been to. Hi, we heard El Questro was expensive and thought we would give it a miss. However on our way back from that awesome place Mitchell Plateau and Falls, we decided to stop there for a night. We're glad we did. Staff were friendly and helpful. The camping area was pretty packed out and the only down was there needs to be more amenities at the far end of the camping area as it is a bit far to trapes in the middle of the night. and we got some great photos from saddleback lookout. "This is the dude ranch in the pack, with credentials that makes it a natural choice for anyone who wants to sample what the Kimberley is all about without straying too far from a well-chilled chardonnay." 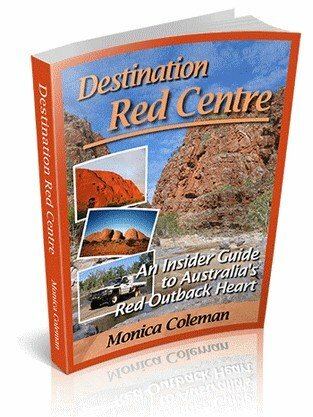 "Although El Questro is a working cattle station, the tourism side of the operation is totally separate. It can feel almost like a theme park, a showcase for the region with an activities menu neatly packaged for mass consumption." I loved El Queatro. We camped for 2 nights. Wish we could have stayed for longer though. There was heaps to do. We went on a gorge crusie the guides were really good and made it lots of fun. We went to a zebedde hot springs on a really mice walk. Also another nice walk up to a swimming hole. The staff were nice and put on a buffet that everyone looked forward to. Also the staff put on a good show. One of mt favourite spots in the Kimberleys. I would definetly go there again and recommend in to anyone. My dad myself and hubby stayed 5 nights in the bungalows in august 09, what a experience, no mobiles. no tv what bliss, we spent 2 morning fishing for barra with a guide, amazing, 2 helicopter flighs(i chickened out 5 minutes into the first flight) we ate well, we drank plenty (good wines) slept well ( all that fishing, exhausting catching a 97cm barra) saturday night barbie we where the last to leave. Our entire trip including air fares accom and meals, drinks and guided tours, transfers, helicopter flight just under $10,000.00 for 3 people what value. The staff are exceptional, some real characters there. We are going back in may 2010, booked a extra couple of days this time, 3 barra fishing trips already booked in, cant wait. It is a un real place and I can see us going back every year from here on. Dosent matter what your budget is, theres something for everyone, camping, caravaning or if the finances permit bungalows or the homestead. this is a must see place. If any of the staff from elquestro read this see you in about 6 weeks and have a crownie ready for dad. you really are a wealth of information on the road! My only complaint re El Questro was listening to their damn generator droning all night. The trip in was well worth it. We are doing the whole Gibb River Road this July and can't wait! My wife and I just had 4 nights at El Questro Emma Gorge Resort. We travel on a budget and thought it would be a treat to ourselves to "go upmarket" for a couple of days. The staff are great and the chef is extraordinary, beautiful meals. It is a shame the staff are embarrassed and apologetric about the ineptitude of the Management. There are no tea or coffee making facilities within the tented cabins, not even a small fridge for a carton of milk for a bit of breakfast. Breakfast at the resort is $30.00. This when we are already paying over $220.00 per night. What a joke. Large groups are given preference over independant travellers. A Variety Club 4x4 group of over 50 vehicles arrived when we were there, parking their trucks throughout the site where parking was banned. There are two eating areas, a BBQ and restaurant. Twice over 4 nights we were dictated too as to where we have dinner as the groups had taken over. The restaurant seats over 60 in comfort, however with 15 people dining the place is deemed as being full and you won't be allowed in. Stand up and complain and you soon get seated. In the restaurant you will have to tolerate tour guides lecturing their customers as to the next days activities. This is not acceptable in a restaurant anywhere, certainly not in one as expensive as this. The place does not live up to expectations, is not interested in independant travellers, is grossly overpriced and an embarrasment to Australia tourism. The staff know this, the Management just couldn't care less. 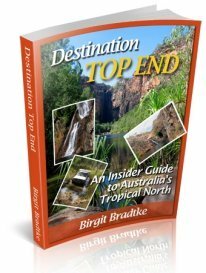 Save your money, stay in Kununurra for less than half the cost and enjoy yourself. We have recently returned from a trip to the Kimberley. We (10 of us) stayed 2 nights in the bungalows at El Questro and had a fabulous stay. The accommodation was brilliant and we found the restaurant with its great staff, served wonderful meals at a reasonable price. 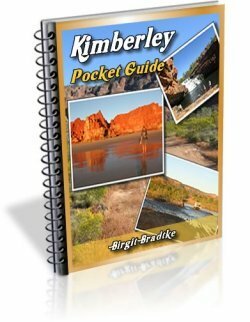 My husband and I will definitely be going back on our next trip to the Kimberley. Awesome family experience - We miss it already!! As a busy professional by day, our recent family holiday to this piece of paradise was THE perfect tonic. Our 4 kids (aged 4 to 9), typically hooked on computer games, Nintendo Wii's and DS's like most kids these days, did not miss the increpid things for one minute. They were enthralled by the natural experiences and raw beauty surrounding us each day for the 5 days we were there. Buddy Tyson, the legend cowboy who can be found at the Swinging Arm Bar at the Station was a favourite of our kids..he is a real character and really added to the atmosphere of the place!! The staff are very caring, they are attentive and are all very passionate about preserving the place. 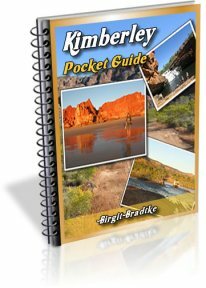 The tours are awesome and really showcased the beauty of that part of the Kimberley region. Emma Gorge, Zebeddee Springs, Moonshine Gorge, Chamberlain River, Explosion Gorge...I could keep going...Brancos Lookout, Saddleback Ridge, El Questro Gorge .....Each were very different and unique and best of all, you could choose to take a ranger tour with everything laid out for you or do a self drive. Prices in my opinion across the board were very fair. We ate half of our meals in the Steakhouse Restaurant near the family bungalows and found the kids meals excellent value ($12 included a full kids meal with sweets and a drink included!!!) You dont get that value in Perth!!! Adult meals were superb...barramundi, prawns, steak etc etc...all very well cooked and presented..the staff, again very attentive and friendly and really took an interst in us and offered great advice about the places to see and things to do. Honestly, if you don't feel revived and if you dont fall in love with the place after a holiday at El Questro, in my opinion you have to be a very difficult person to please. In fact, I would have to stay, please stay away and stop whinging!!! Like most visitors, we will DEFINATELY go back. Our kids have not stopped talking about it.... they will carry those memories for life!! After all, what else matters!! My husband and I recently stayed at El Questro "Bungalows" as part of Australian Rail Holidays "Kimberley & Darwin Delight" booked through Australian Holiday Centre in Melbourne. It was a wonderful 12 days except for the 2 days spent at El Questro. Two other couples were doing the same trip. We were taken by bus from Kununurra to El Questro. When we got off the bus we asked the driver where was reception. He pointed "over there at the shop". The staff member was not impressed with us arriving as individual guests. Made signing in seem like we were not wanted, and we were told "they never get people like us arriving"!! My husband and I were directed to the wrong room and we had to wander around to find the correct one. We all had to drag our luggage 100m through the dirt to our rooms after an 80yr old guest in our party was told there was no porterage. The "bungalow" room which we were paying $300.00 per night for was probably the same as a $100 per night room anywhere else. Old wardrobe door held together with a nail and a chain. We spoke to the young manager and he was also rude. Washing machines with no instructions on how to set up, no auto dryers and clothes had to be hung over old lines in a huge communal area. No thanks. We were very disappointed because in the past we had seen this place on T.V. shows and it looked great then. Some web sites describe El Questro as a working cattle station which it is not. These days the Station is just like any other camping ground. If you must go there forget the "Bungalows", they are a RIP OFF. Have to agree with John O'Grady. We have not long been back from 3 months in the Kimberleys & we found that El Questro was far too crowded - not enought toilet facilities on the river camps & the whole show only caters for the high paying guests. Must be out of Zebedee Springs by 12 o'clock to allow a handful of high paying guests. Also cannot be at one of the sunset lookouts because of the "House" guests. Everything is geared to cater for a very priveleged few. Bugger the rest of us!! In fact we thought that is was so commercialised that we stayed at Home Valley for 4 days & did the day trip to Elquestro rather than stay. There is no working station atmosphere that it advertises.. It is not a camping environment at all. Everything is way too expensive & too much like an expensive resort for a camping holiday which is what most people travelling in that area do. Way too commercalised!!!! We recently returned from a three day stay at the Station Township. We arrived on a Saturday and The station had a band playing when the BBQ was on and it was a wonderful atmosphere. The next day we went to Emma Gorge and were blown out by the friendly staff. One blonde lass with glasses in particular that was bobbing around in what looked like a giant green lawnmower piled high with washing so she was probably a cleaner. We were after water and she took us around to the Boab tree and gave us a great yarn about how good boab water was, still unsure if it was a yarn or not so we had boab water. We were not guests there yet she probably stayed with us for about ten minutes answering questions. She even took the time to go back with us to the toad box and gave us a mini talk about it. She made us feel very welcome. On our way back from the gorge, my wife and I had a shower to freshen up and we were suprised at how clean the toilets were. Yes they are old but very clean. We bumped into that young lass again who suggested we go and have a coffee and enjoy the scenery. We are hoping to go back again one year and stay in the tent cabin. That staff member made us feel wonderful. The only thing I could not imagine is how someone like that is just a cleaner. Booked into a camp site there in June 2017, for a three-day stay. On the morning of the second day we went trekking. Most of the day was spent doing the full length of El Questro gorge. When we got back to our camp site at around 4pm, we had no sooner stopped the car, alongside the site, when a bloke started abusing me and telling me to move away from HIS campsite. Confused, I calmly walked over to check the site number and yes, it was the same site that we had been at. With blood pressure rising, I called him over to the site sticker on the back of our campervan, which showed the site no. and the dates it was booked for. He went from angry, impertinent, macho male to a blubbering mess, as I glared at him and sent him off to get his new site sorted. El Q. had double-booked. Not impressed.